Ehhh... I don't know about the shadows yet. I'm not used to the formula. It's thick and sticky, kind of like a waterproof eyeliner. It has decent pigmentation, but if you apply it too thickly, it crinkles and flakes off. 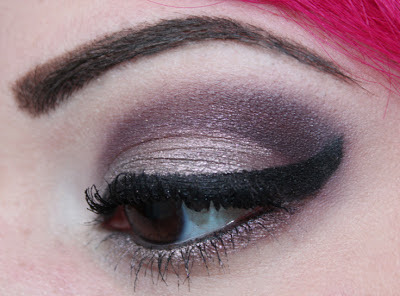 Most of the duochrome effect disappears when the shadow dries, though it looks very duochromey when first applied. Sephora Astral Lip Glaze in Mauvewood. Now this I like. Maybe even love. This isn't an accurate representation of the base color (cause I had to take it at night with flash), but it really shows off the green pearl. The duochrome effect is definitely noticeable and the formula is thicker and longer lasting than the last Sephora + Pantone gloss set I bought. 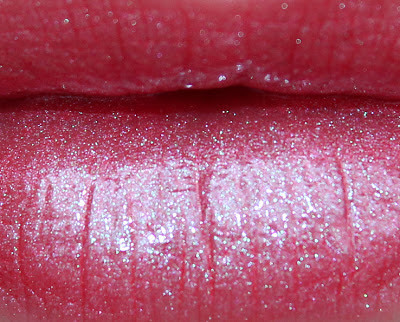 Sephora Astral Lip Glaze in Chrysanthemum (natural light, flash). 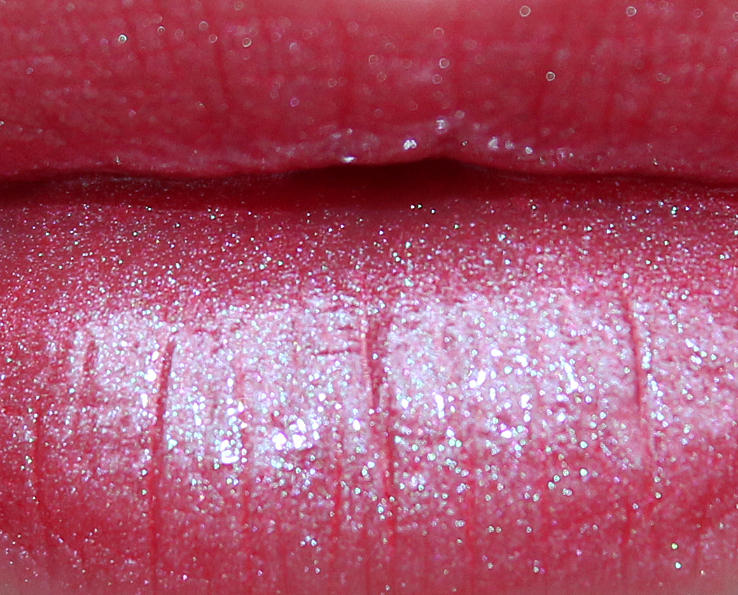 I don't notice as much two-tone/duochrome flash in this on the lips as I do with Mauvewood, but I can make out lots of different colors of shimmer within the gloss. Silver, blue, green, pink. Shiny and iridescent but perfectly small and smooth. This is a really good color on my skintone, too. So far I'm really, really liking the glosses but I need more practice with the shadows. They feel weird on my eyelids and they flake off look chunky after they dry. I wish they were pressed powder or loose pigment instead so I could use my own mixing medium with them! So pretty! I love both of the lip glazes! This lip gloss is really amazing!!! The colour of that shadow is amazing!